Former Acting Attorney General Sally Yates will testify on the investigation into Russia's interference in the 2016 election, the Senate Judiciary Committee confirmed Tuesday. Yates, fired by President Trump in January for refusing to uphold his travel ban, was scheduled to testify on Russia in March, but House Intelligence Committee Chairman Devin Nunes postponed her appearance. 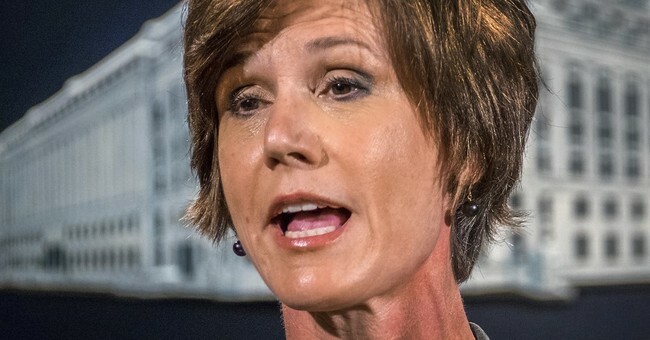 Because the announcement came shortly after his meeting with President Trump, some of his fellow committee members accused him of colluding with the White House to silence Yates, fearful she may say something to incriminate the administration. White House Press Secretary Sean Spicer denied those claims, urging Yates to testify should she wish to do so. As for Nunes, he has since recused himself from the investigation. Yates will appear before the Senate Judiciary May 8.